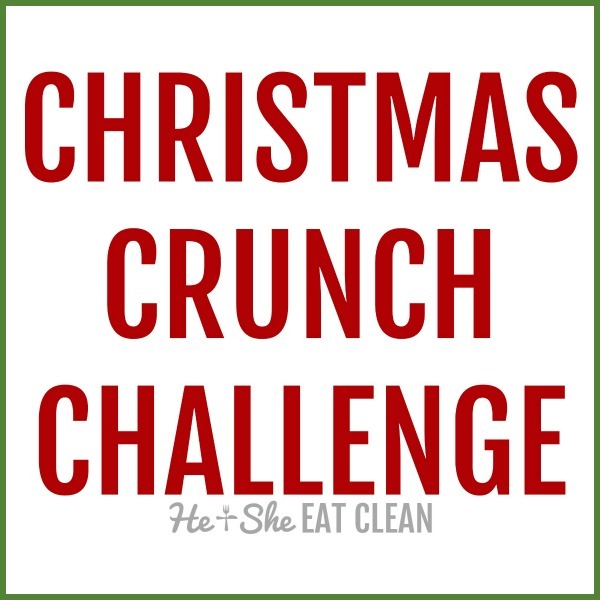 So, this should really be “ab” challenge but I’m being corny and wanted it to start with “C” like Christmas so it’s “crunch” challenge. 😉 Keep in mind, there’s no amount of sit-ups for crunches you can do that will give you a six pack – it starts in the kitchen. This challenge is to strengthen your core. Strengthening your core is about more than appearance, it’s about helping to prevent injury as well. Add this short challenge onto the end of your workouts each day. 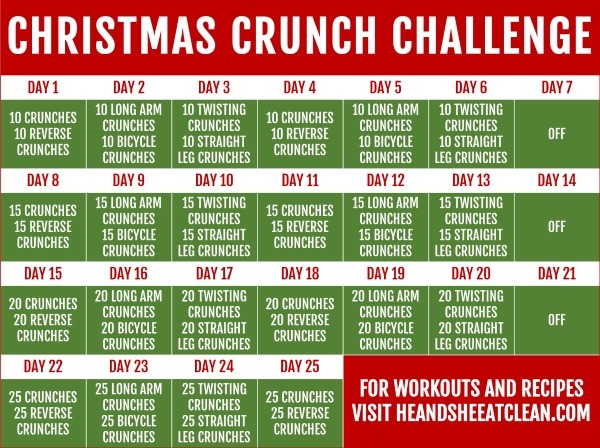 Looking for more holiday-themed workouts? Try some of the ones below. Have fun!